Bonjour, my dear readers. This time, I’ll take you to the most romantic city in the world (guess which one is it?) 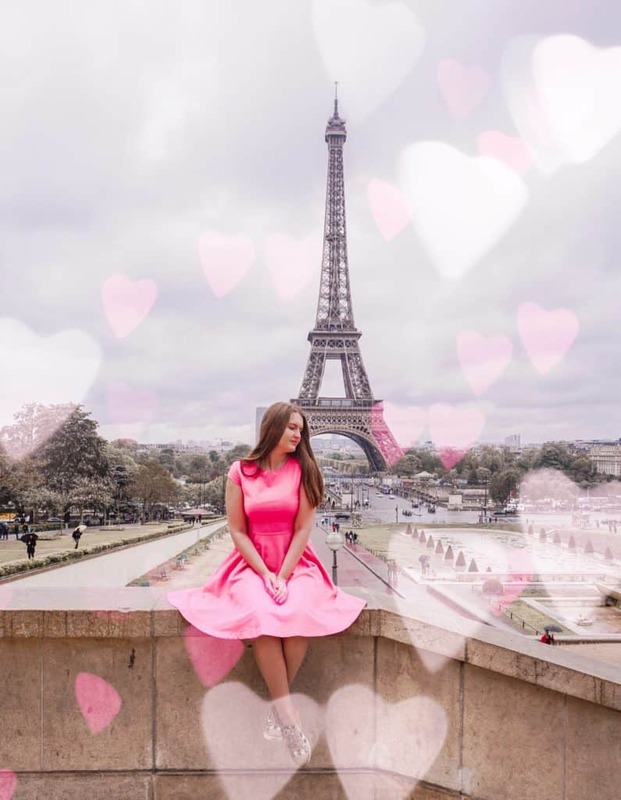 and show you the most Instagrammable places in Paris. At the end of April, I packed my suitcase, hopped on the Eurostar and got to Paris in almost no time – 2 hours 20 minutes. All that – for this post about the best photography spots in Paris! 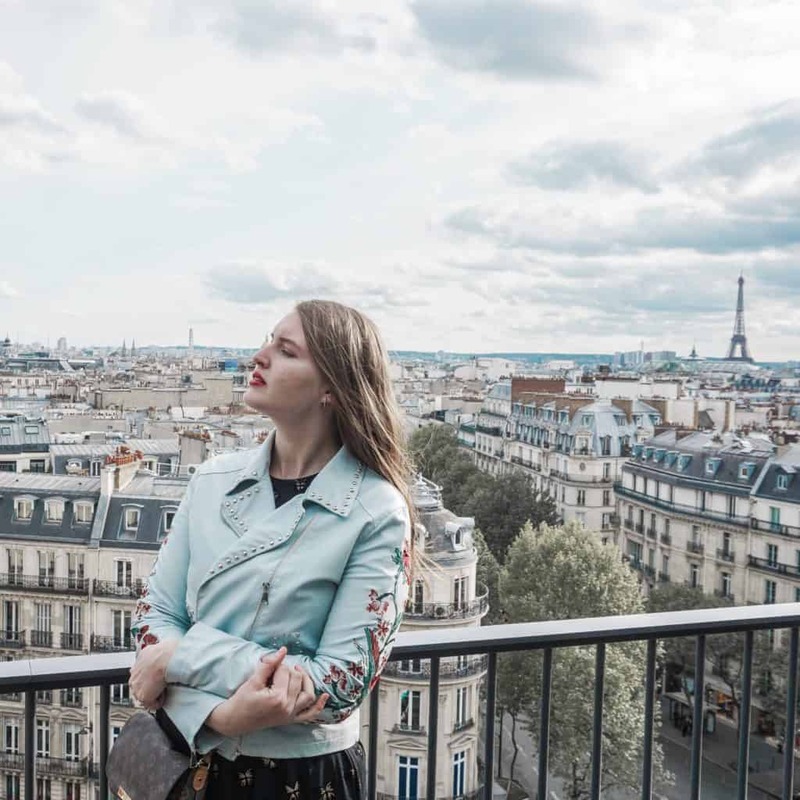 If you’re a photographer and looking for a photoshoot in Paris, keep reading, even though this post is about the most Instagrammable spots in Paris, I’m sure, you will find some places you like! In case we haven’t met before, my name is Liza. I live in London, and I’m obsessed with Instagram (you can find me there as @lizatripsget). I was trying to research and find the most beautiful spots in all the places I visited, and then I realised that maybe these lists could help someone else too. That’s how the idea of these series was born. For some of the post, I collaborated with other bloggers, so these guides are even more detailed and comprehensive. I get asked a lot, which camera gear do we use. Long story short, I use Sony A7 III with the Samyang 35 mm compact lens, Sony A6000 with the kit lens and iPhone 8 Plus. Last time I visited Paris, I stayed in a lovely hotel called ‘Hotel Joyce’. The location was perfect – 15 minutes walking to Montmartre, 17 minutes walking to the Galeries Lafayette. And we had a lovely Parisian-style window and a great view. So if you’re looking for a great inexpensive hotel in Paris, feel free to check it out! Trocadero viewpoint is really easy to find. Just head to the Trocadero metro station and walk for 3 minutes. Head to this spot for the most romantic view of the Eiffel Tower in the entire city! Getting an ultimate Paris photoshoot? It’s unthinkable without this iconic view of the Tour Eiffel! 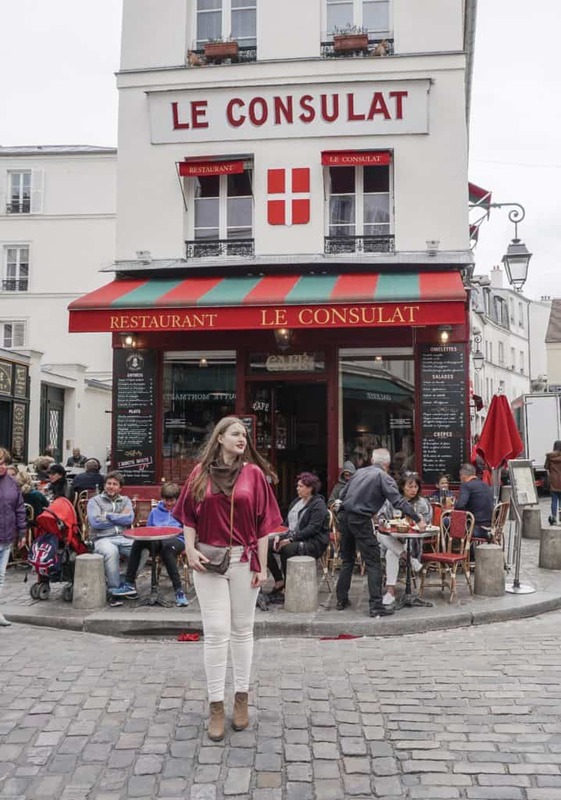 This spot is located in Montmartre – home to some of the most Instagrammable spots in Paris! Head there for beautiful high-contrast photos. I suggest you arrive there pretty early. Otherwise, the place will be extremely crowded, and it will be hard to take a good picture. I’ve seen this spot pretty much in all the BIG Instagram accounts, so if you want a similar photo, head to Le Consulat! The next Instagrammable place on our list is located just few steps away from Le Consulat. 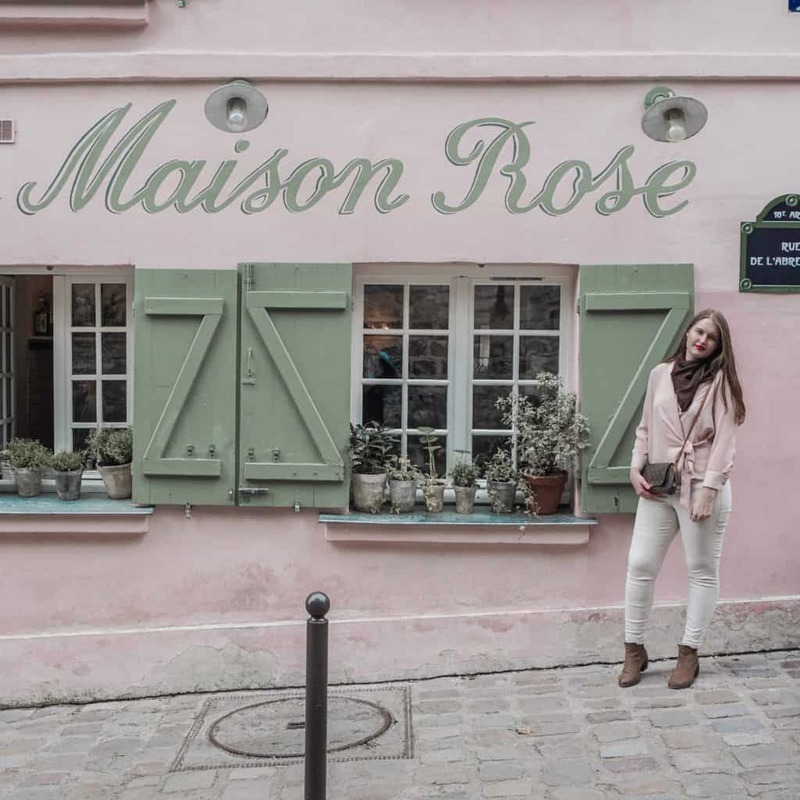 La Maison Rose is a gorgeous pink house that attracts all the Instagrammers of Paris. It also attracts the photographers, so prepare to queue for one of the best photo spots in Paris! This street is one of the prettiest in Paris – just look at it! Recommended to visit in Spring-Autumn. Definitely one of the most instagrammable locations in Paris! Again, if you’re a photographer and planning to do a photoshoot in Paris, note this gorgeous location! If we’re talking about the streets, then I should mention the Rue Cremieux that looks almost like Nothing Hill in London! It’s colourful and beautiful and perfect for an ultimate Paris photoshoot. 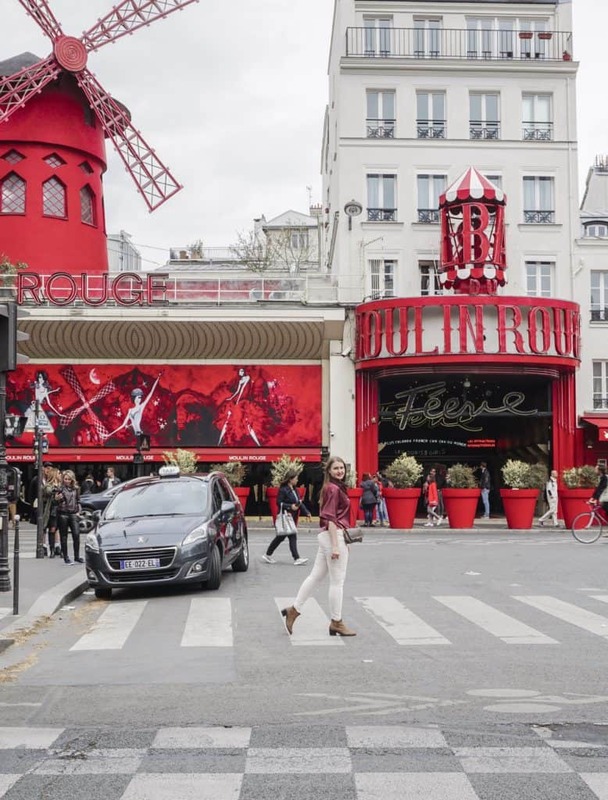 Moulin Rouge is an iconic landmark of Paris and pretty much everybody knows it. That makes it very Instagrammable. It’s not so easy to take a good shot, as there are always people/cars in the background, but certainly not impossible. I would name it one of the best spots for photography in Paris! 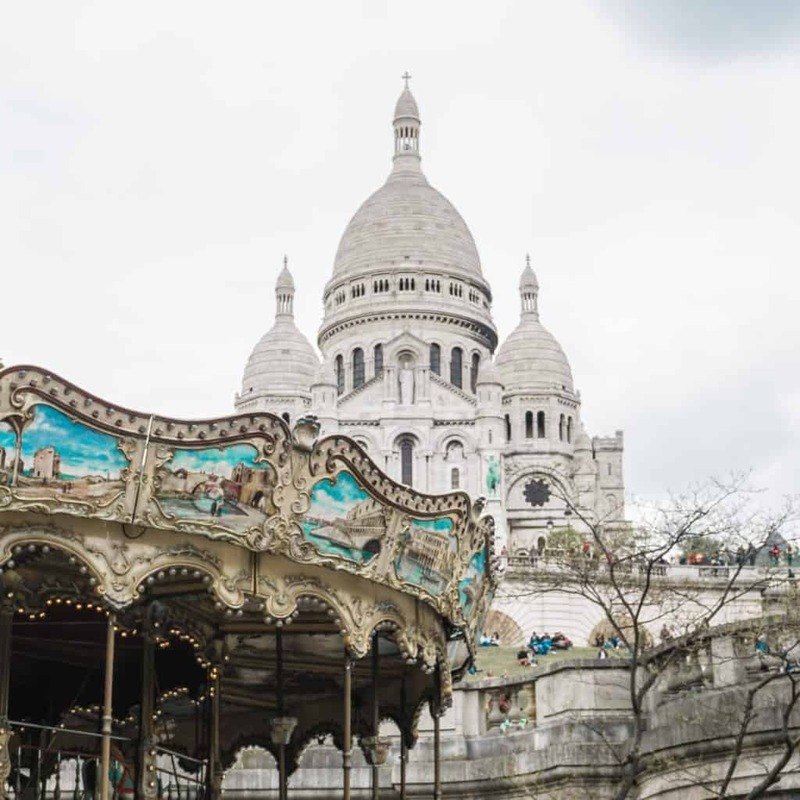 The next place in our list of the most Instagrammable spots in Paris is Sacre Coeur. It’s known for its unique shape and looks best from the entrance to the steps. 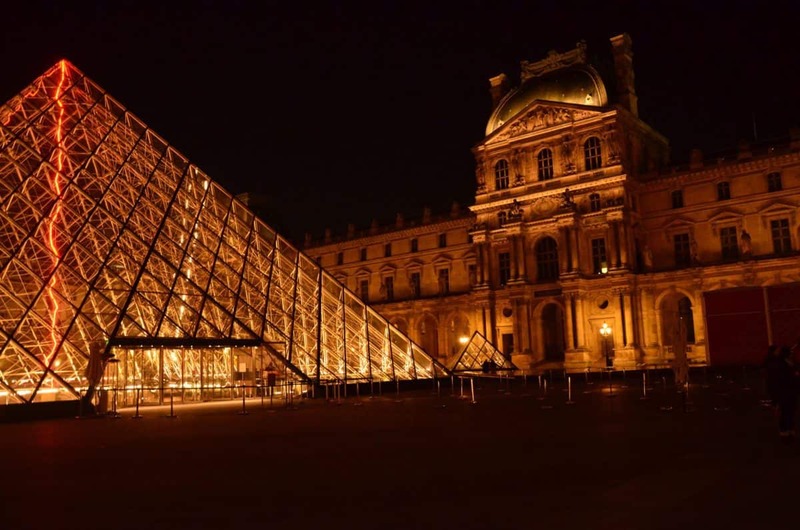 Louvre is one of the most iconic landmarks of Paris. Some of the best photos are always taken outside Louvre – next to the glass pyramids. However, some people manage to take pretty impressive photos inside Louvre (despite the crowds). Notre Dame is wonderful by itself, especially in April, when it gets surrounded by cherry blossom. 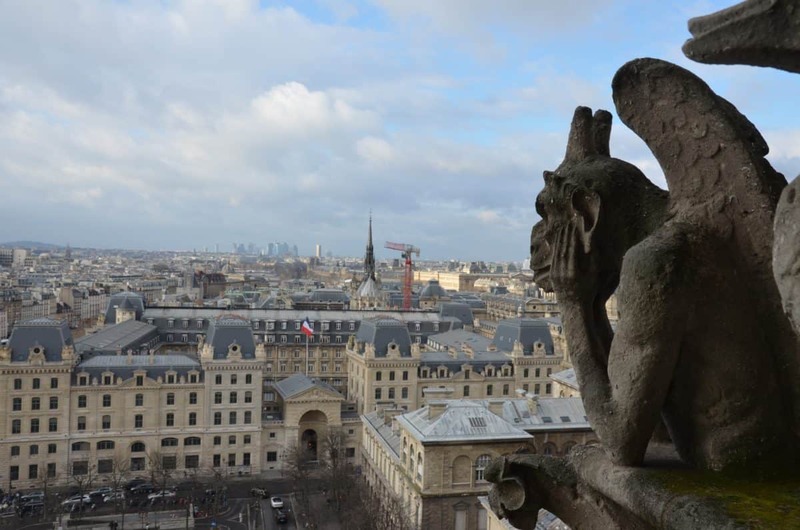 Also, you can see some of the most beautiful and Instagrammable panoramas in Paris from the top of the cathedral. You can see the Tour Eiffel from there and have lunch at the same time. It’s also a fabulous place for a photoshoot in Paris! 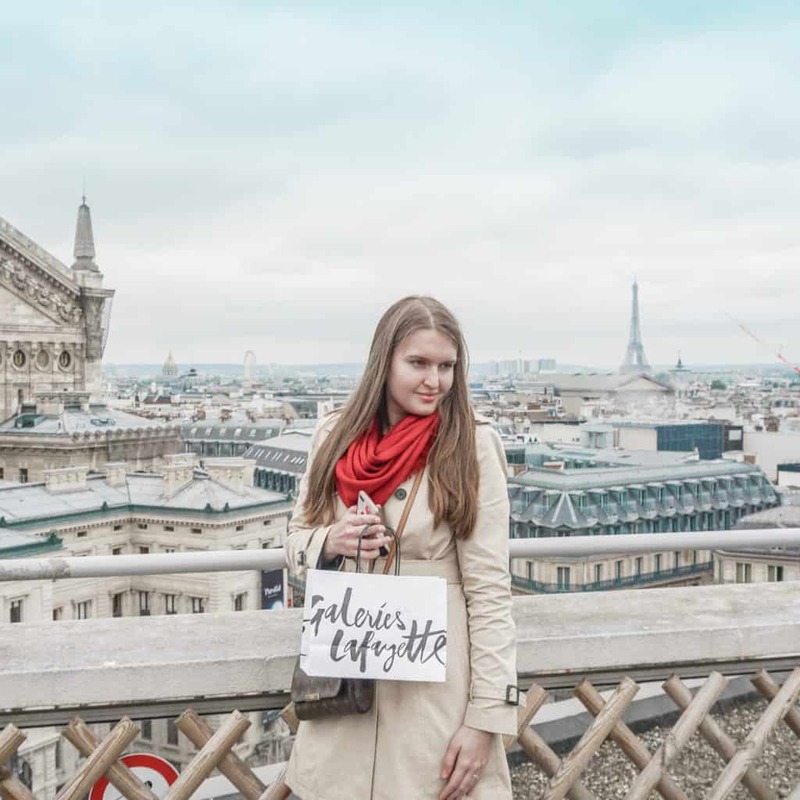 Another scenic spot in Paris is the last floor of Galerie Lafayette – just like in Printemps, you can see the Eiffel Tower. However, the terrace isn’t so crowded, so it’s possible to take a beautiful photo there. 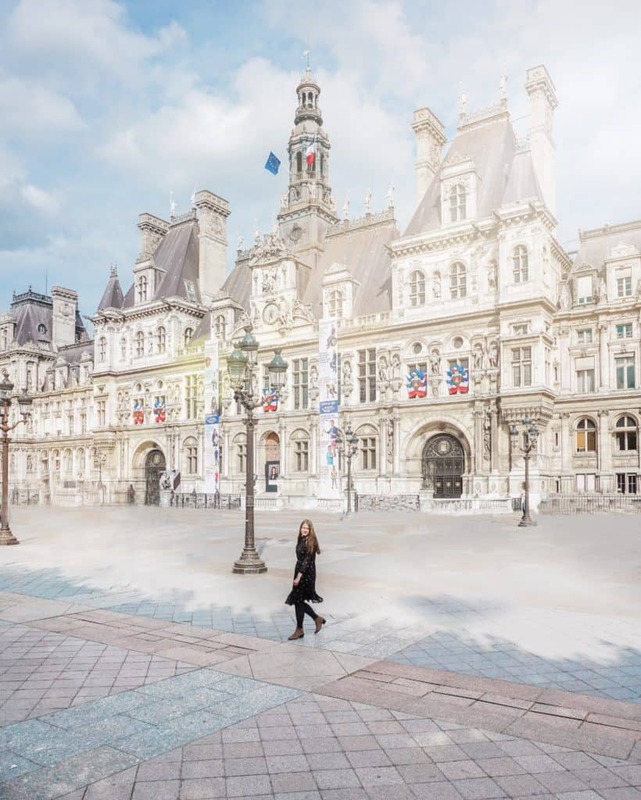 Another Instagrammable spot in Paris is Hotel de Ville. If you like photos in the park – Jardin du Luxembourg is a place for you! Equally great for photographers – when it’s not so busy, you can shoot a great photoshoot in Paris! Have you seen these iconic photos with the clock? You can find these in the museum, D’Orsay! 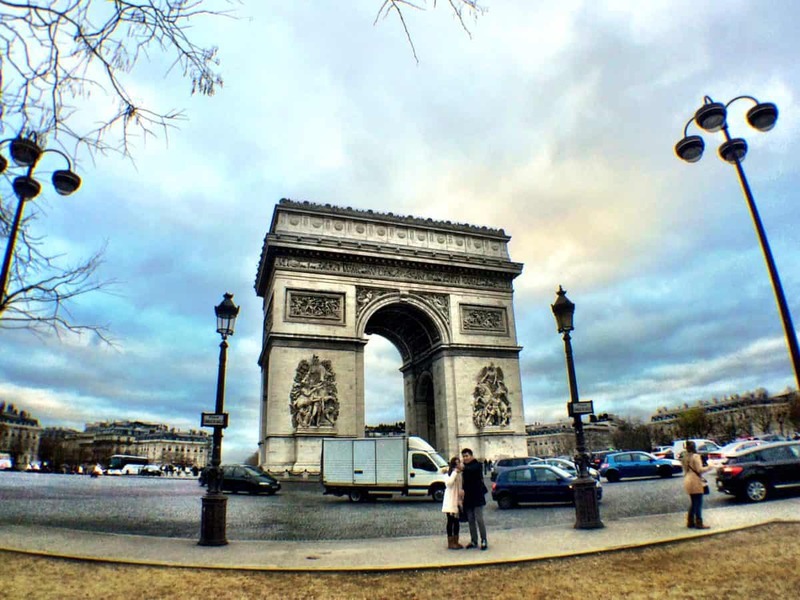 And the last (but not least) spot in the most Instagrammable spots in Paris is Arc de Triumph (Triomphe) that looks impressive from the outside and also has incredible views if you climb to the top of it. 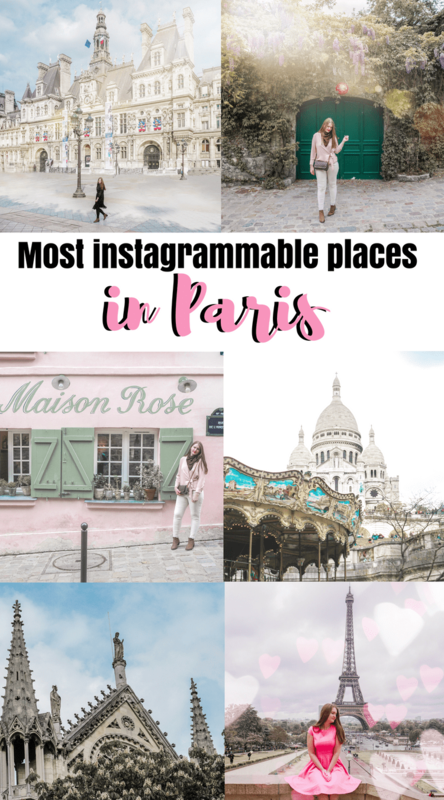 This list for sure will be expanded with new Instagrammable places in Paris! 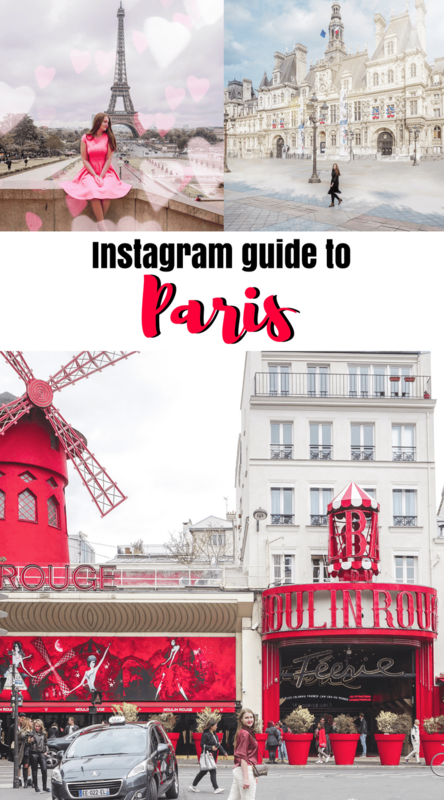 Hope you liked this Instagram guide to Paris. Please share it on Social Media (or keep it secret, so no one knows, where did you take these dreamy photos in Paris)! Disclaimer: this post contains some affiliate links. It means we will get a small commission that would help us to get this blog going at absolutely no extra cost for you!